In love with the Kia Sorento SXL AWD! 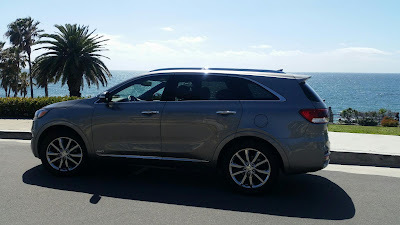 We had an amazing experience test driving the Kia Sorento thanks to Drive Shop and Kia. 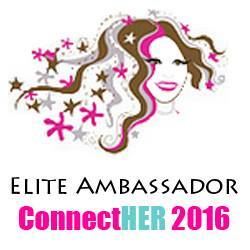 I am very grateful to have the opportunity to do these test drives and give an honest review. I was lucky enough to have my Kia arrive just in time for some spring break fun. As soon as I looked inside I knew I would love driving this car. 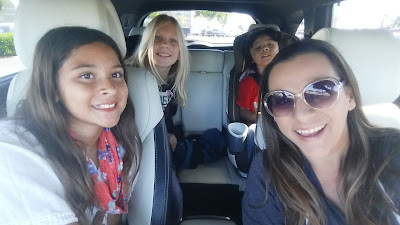 I know that I am known for not being a fan of larger SUV's but I had a feeling the space would grow on me as soon as I realized I could put my kids on separate rows.. yes I know right?! The Kia Sorrento seats 7 with the 3rd row up. Speaking of the third row... it is the easiest to put up and down I was so shocked I had to do it twice to make sure this mom that can barely get a car seat in on my own was not just having beginners luck! Truth! 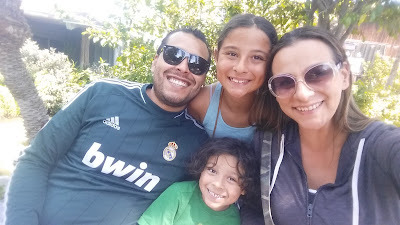 Sometimes there are events or weekend soccer games that I am used to having to select things to leave behind. Sometimes it is the extra sideline chair or the stroller or even having to take halftime snacks on ice and not in a cooler. So the luxury of the trunk space with and with out all or some of the seats down was wonderful! Over spring break we were able to head out to a media preview +legolandcalifornia and the long drive was smooth, comfortable and easy to drive, I must admit, I was starting to like the size. I was able to test out the regular drive mode, ECO drive mode and also the Sport drive mode. I did notice a difference in EACH. While in ECO mode the drive was almost flawless and smooth as can be. With the Sport drive mode I was able to feel the extra power as needed to let's say accelerate when on the on ramp to the freeway or in the parking lot of the soccer game that was not fully paved and rigid. I really liked the options of this especially since the ECO seemed to be saving me gas on the daily drive from place to place local. Speaking of local and place to place... we took our Kia to the beach a few times and she was loaded up with all sorts of toys, towels and came home with a lot of sand. 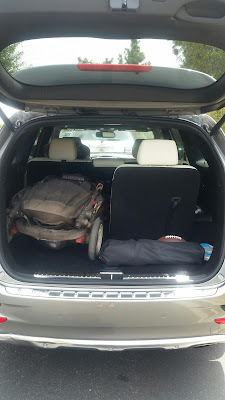 It was very easy to get the sand out of the back with a few shakes off of the mat, I would totally get that to protect the trunk space from our constant on the go lifestyle. Over the the weekend that we had our Kia Sorrento test drive we also had Soccer Saturday! For the first time I was able to ask "Who wants to come with us?" and it was so nice to be able to do that for my kids and see them smile with their cousins. I was able to attend +DiscoveryCubeOC . #Bubblefest so we once again packed up and we were off on our next adventure. 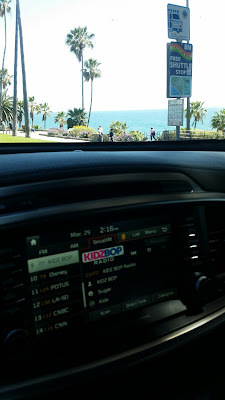 We rocked out to the fun stations on +SiriusXM stations and had a blast with the panoramic sun roof..a favorite of the kids & me too! 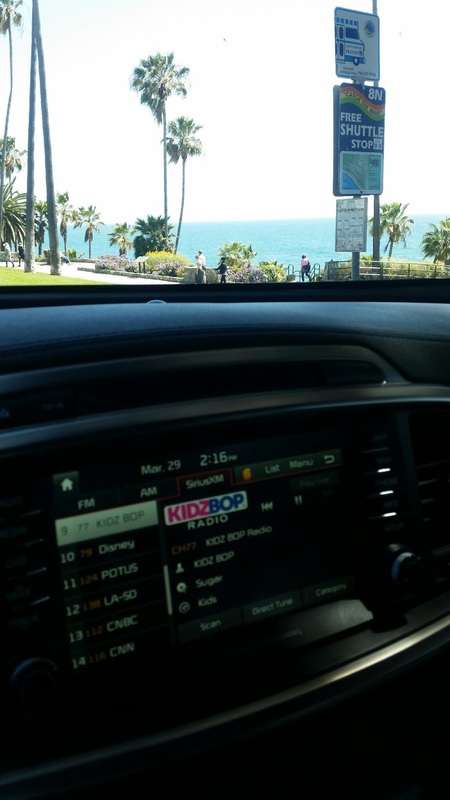 You know we love our +KIDZ BOP ! Something that my daughter was in love with and used daily, even in sunny so cal... the heated seat warmers. She would turn them on in the morning on the way to school and after the beach. My son loved that there was air conditioning in the back seats and in the third row. Not going to lie, he liked to take his shoes off and let the cool air hit his feet, glad I was not in the back to smell that. Ha just kidding.. kind of. 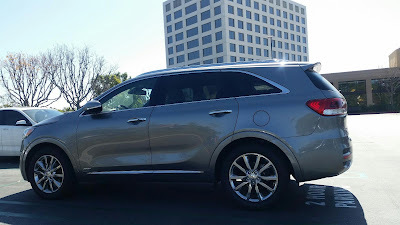 Before we received the Kia Sorento to test drive I was set on a mid sized SUV. 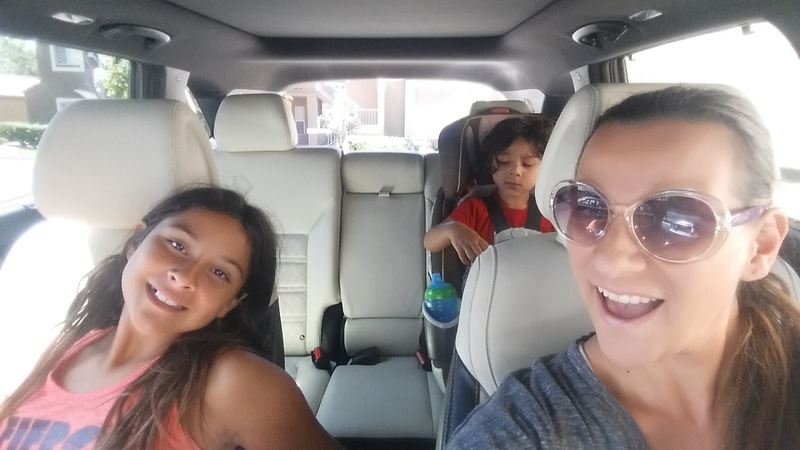 Now I am not so sure, I really like this larger SUV and the space it gave my family. We were even able to fit our 55lb dog in the back with park stuff comfortably. I am so torn at the size I will want but one thing that I am certain of is that I loved all the bells and whistles from the automatic trunk with sensor safety feature to the aerial camera so that I was able to see in front of, behind and on top of the car making visibility all around. My husband is totally sold, he is a huge fan of the Kia Sorento as well. He says that for the price (the Kia Sorento starts at around $28K and goes up as features & engine power are added) the space and comfort-ability for a family our size is ideal. The more I sat behind the wheel the more I was able to get used to the cameras that helped me park and the difference in the actual size of SUV going from a small 2 door sport car to the Kia Sorrento. 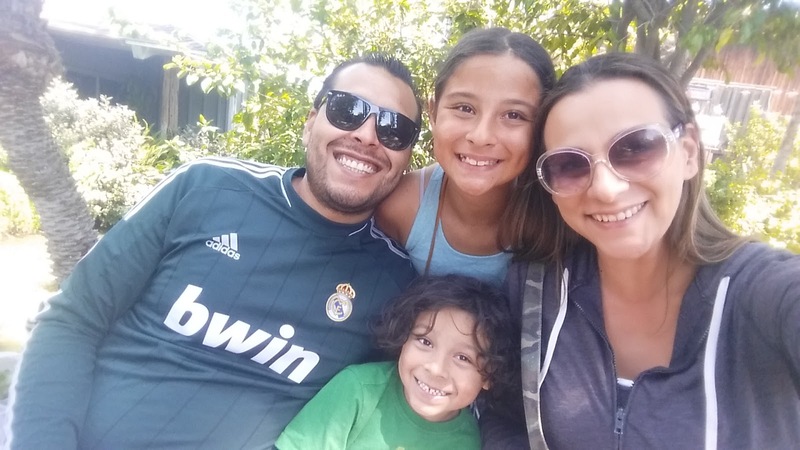 I am still interested in checking out the Kia Sportage, I hear that is just my style but, as a family we need to come to an agreement on the SUV of choice since this will be a family vehicle with room for us all and then some.. that is a first! 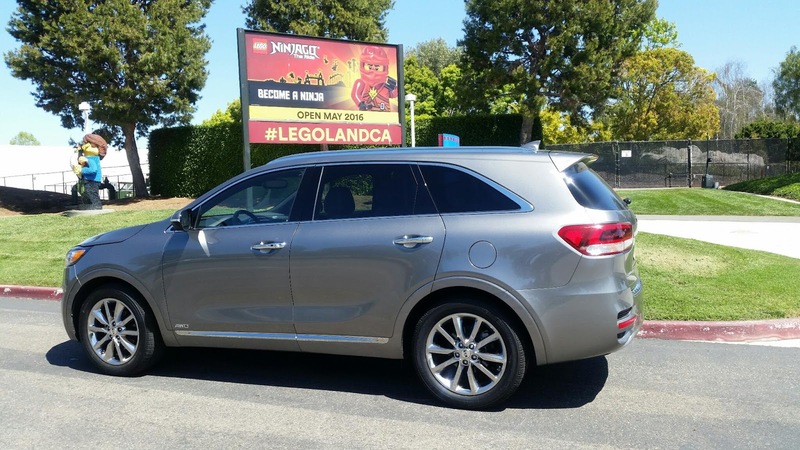 Do you have a Kia SUV of any kind? Perhaps even the Mini Van? I would love to know what you think about your Kia!? Thanks for driving..ooopppsss... I mean reading along with us and following along on our social channels live for all the Kia Test Drive fun.